The 5G race is starting to intensify. US Carriers are investing heavily with the hopes of winning the "first to release a 5G network" title, while manufacturers are preparing to introduce a barrage of smartphones that support the ultra-fast connectivity in 2019. Apple; however, might not be among those to launch a 5G handset next year. 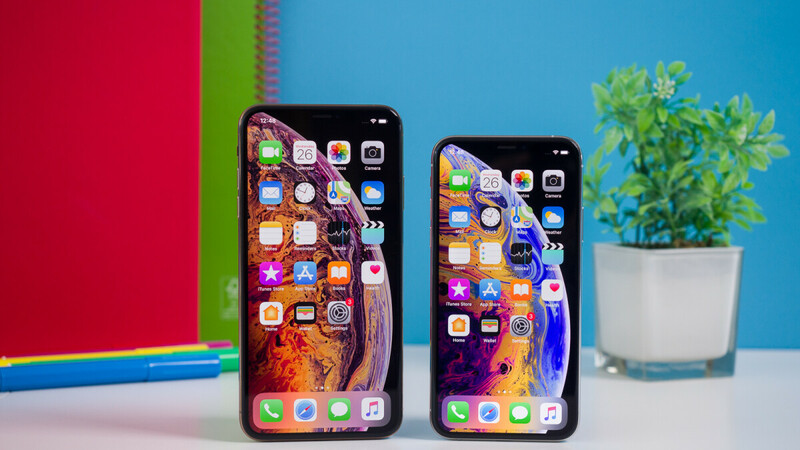 According to a new report by Fast Company, the first 5G iPhones will come in 2020. Citing an unnamed source "with knowledge of Apple’s plans", the US magazine claims that Intel's 10-nanometer 8161 modem chip will be exclusively used in the future lineup. The tech giant has utilized modems from both Qualcomm and Intel since 2016, but it looks like Cupertino is cutting ties with the former. Current tests are reportedly being performed with a slightly older 8060 chip, and the results are not too encouraging. Apparently, Intel is struggling with reducing the heat dissipation with these components. Many US carriers will rely on using millimeter wave, an electromagnetic radiation spectrum between 30 and 300 GHz, for 5G. The band is rather demanding, and current testing units with the 8060 modem are having problems with the accumulation of heat, which also negatively affects battery life. The source states that Intel is confident in its ability to solve the problem with time, but Apple is lining up MediaTek as an alternative chip supplier if the issue persists. For comparison, Android manufacturers like Samsung, Huawei, and Xiaomi will use Qualcomm's X50 5G modem, which supposedly does not heat up as much. Apple's apparent decision to take things slow might not seem like good news to some. Still, a conservative approach could be a good course of action here. Sure, we've seen 5G phones like the Xiaomi Mi Mix 3 come out in 2018, but these capabilities won't be utilized until there's a 5G network to support them. Some wireless carriers in the US and around the globe will make the technology available soon, but worldwide coverage won't happen overnight. Most Americans don't even know what 5G is at the moment, so the need for 5G phones will be felt once the ultra-fast download speeds, lower latency, and the ability to connect a lot more devices at once become available to the majority of mobile users. The phone industry is going through a massive shift. Apple for all its prowess , I personally feel they should start being quicker in implementing tech rather than like before when it was always a couple of years behind others . They say they want to do it perfect so hence the delay. acceptable before, not in todays mobile industry. 2020 is a decent time , but i want Apple to push harder . Apple is the fulcrum of the mobile industry. So godspeed Apple ! 5G will become most relevant after 5 years. 2019 and 2020 is for early adaptors who mainly buy high end flagship phones. 2021 and later, 5G will make it to the Medium range in which most people make their buying decision. If Apple joins 5G in 2020, I see no issue. Yes. 2020 is very decent for Apple to introduce their 5G phones. What would he be saying? Are you saying his argument is not correct? Actually he didnt make an argument. He said that the year Qpple could donitnqoild be perfect. And like I said, he would be saying something different if Apple had been first. Stop trying to act as if what I said was wrong, because I've seen your posts before. Lol. Im just asking you a question. Not trying to act. Haha. Also where in the world did he say it’s perfect. He just said he does not see an issue with the release date. Considering Apple doesn't make any of this stuff. It only makes sense that Apple will be one of the last to implement 5G. Plus Apple managed to best off and not pay the best 5G in the business. So it makes sense Apple will play second fiddle. As the tech gets older, then the price will come down due to volume purchases by other oems who will be some of the first, like Samsung. Apple wants components to be cheaper so that can get the maximum possible profit when they charge you and arm and a leg more than everyone else. Yeap same as LTE. LTE didnt really matter until 2013 or so, before that the modems just sucked too much power. Apple did the same thing with the move to 3g and 4glte so this would be on par with the past. Apple late to the game again? I believe Apple waits for LTE technology to mature rather than say its first to say they have the 5G radio in the phone. I’m using Gigabit at home, why do I need LTE Gigabit? I use roughly 20gb of carrier data per month, but use nearly 600gb of data at home. I prefer Gigabit data for home use over carrier. The speeds right now of 100-150mb is plenty fast for what I need. Careful some ppl will yell at you and say that 100mbps is very slow and Is not enough. Yeah I know what you mean. Don’t get me wrong, Carrier Gigabit 5G will be nice to have, but that’s low on my priority list of selling features. You mean like you Sammy sluts pay a premium for outdated software? Come to think of it... is Android Pie even in beta for Samsung users yet? God knows you won’t see it til next year at the earliest. Whatever! They wait until it's cheaper so they can charge you more for it and profit. Yeah you wish. Actually Apply is waiting for Intel to come with a viable 5G modem but taking in consideration that intel is one or two generations behind Apple will be late and most likely they will have the slowest 5G modem of 2020 anyway. The heat can be highly addressed if fabricated with the latest fabrication process. I wonder, if this is all a cover and Apple would actually be making one under their own name and just waiting for the TSMC's 5nm fabrication based on EUV, playing a major game. The EUV not only itself plays a major role but a lot of the shift to newer generations of innovation with EUV under 5nm scale from TSMC. Apple may want it to be surprise. I guess the huge delay is because of Qualcomm’s stranglehold on most 5G patents. Intel probably would take that time to develop and test a workaround so as to not have any accidental patent infringement. Really? How does QC have a stranglehold? They spent their money on the R&D meed to make the best available technology. They have a right to charge the price they feel its worth. If anyone so want wanna pay it they dont have too. But at least dont be like Apple who signed a deal and then now dowsnt wanna pay. I am not criticizing the stranglehold or saying QC is wrong....I was just telling that when one company has a patent on a certain technology which the other wants to avoid, then the other company must develop a product which does not infringe on the patents of the fist company i.e. QC but still gets the same result (i.e. 5G in this case).Or pay up. Anyway as per Vince, it is a moot point. Apparently , Intel is lagging behind in development of 5G modem technology. Why ? I am not sure, my point was just a conjecture. Hence the word "guess". Let's welcome the first $2,000 phone into the fray!